Prof. dr. Annemieke Aartsma-Rus is a professor at the Department of Human Genetics of the LUMC. She studied Biomedical Science at the Leiden University from 1995 to 2000. As a PhD student at the Human Genetics Department (LUMC) from 2000-2005, she focused on the development of antisense-mediated exon skipping therapy for Duchenne muscular dystrophy, under supervision of Dr. Judith CT van Deutekom and Prof. Dr. Gert-Jan B van Ommen. She defended her Thesis “Development of an antisense-mediated exon skipping therapy for Duchenne muscular dystrophy – Making sense out of nonsense” on February 10th 2005. After obtaining her PhD she continued her work on the optimization of antisense-mediated exon skipping towards clinical application as a postdoc. 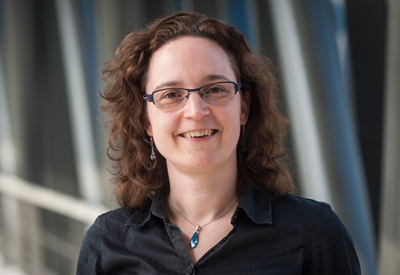 Now that Judith van Deutekom is working with Prosensa B.V. (as of February 2007), Dr Aartsma-Rus took over as project leader of the DMD Genetic Therapy group. As of December 2007 she became leader of the “DMD exon skip group” first, as assistant professor and currently as associate professor at the Department of Human Genetics. Since 2013 she has a visiting professorship at the Institute of Genetic Medicine of Newcastle University (UK). In 2014 she was selected as the second most influential scientist in Duchenne muscular dystrophy in the past 10 years (2005-2014) by Expertscape based on contributions to the understanding and treatment of Duchenne muscular dystrophy.